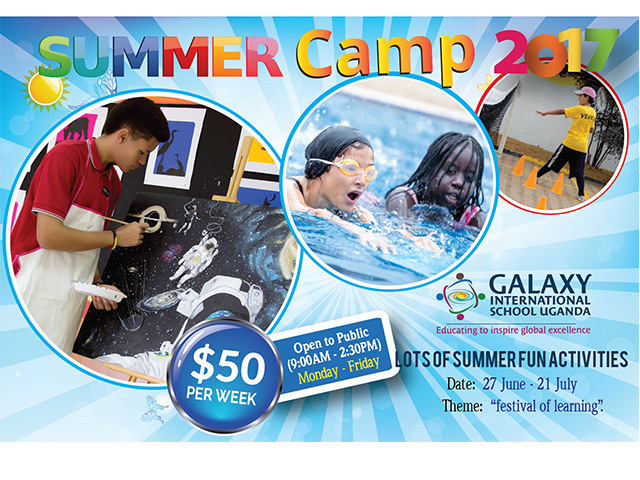 Galaxy International School Uganda has organised a Summer School programme this year with the theme ‘Festival of Learning’ for children (students) eager to learn in a fun way while discovering and improving their talents. We will have specialized trainers and teachers. The dates are from 27th June to 22nd July. Registration is ongoing at the school. The purpose of this year’s Summer School programme is for children to have fun, learn something new in interesting skill classes like: Robotics, Swimming, Musical Instrument, Lawn-Tennis, STEM, Hour of Code, Basketball and Football, Genius Mind, Speech and Drama, Home Management, Language, and Web Design. Parents with children especially holidaymakers who want to busy themselves during this time in an environment with other children are encouraged to apply. It is open to children from all schools especially those between 2.5 years and 11 years old. Children who want to see what it is like studying in an international school will benefit from this experience as they experiment with our Summer School programme. At the end of this activity, every student will be celebrated for their hard work with a certificate. We will provide a detailed schedule for this by email. This will be a four-week program, running from Monday to Friday of each week, and starting at 9:00 am while finishing at 2:30 pm. The cost per child has been discounted to 50 USD per week during this Summer School programme. This price will cover the activities, snacks and lunches. Transport is not included, but this will be available through a private company or your own transportation. If you would like to register your child, please contact the Public Relations Officer on +256787905617 and via email prgisu@gisu.ac.ug or you may contact the Admissions Officer on +256781468000 and via email info@gisu.ac.ug . For more information about GISU, the Summer School and admissions please feel free to visit us in Lubowa or to check our website at www.gisu.ac.ug . 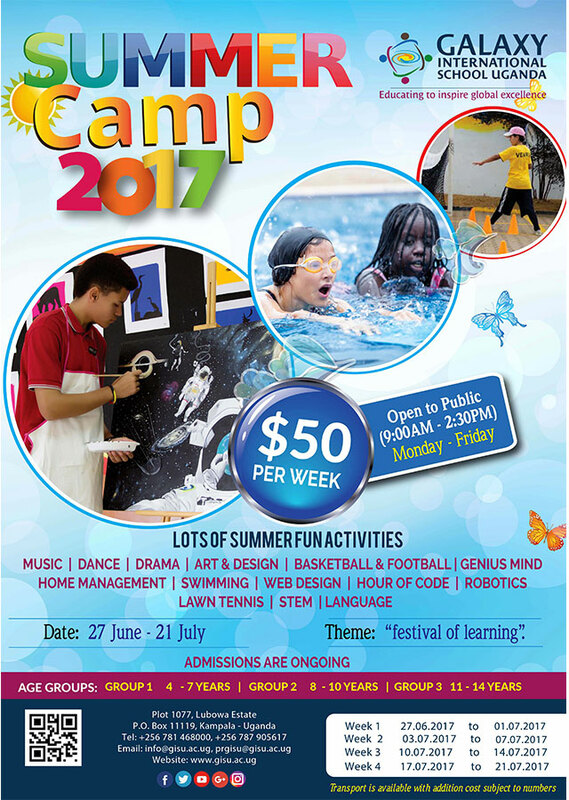 Children (students) who are interested in the Summer School but are a little younger or older may contact the school and still be able to participate. The different age groups will have separate activities and at different times throughout the day.